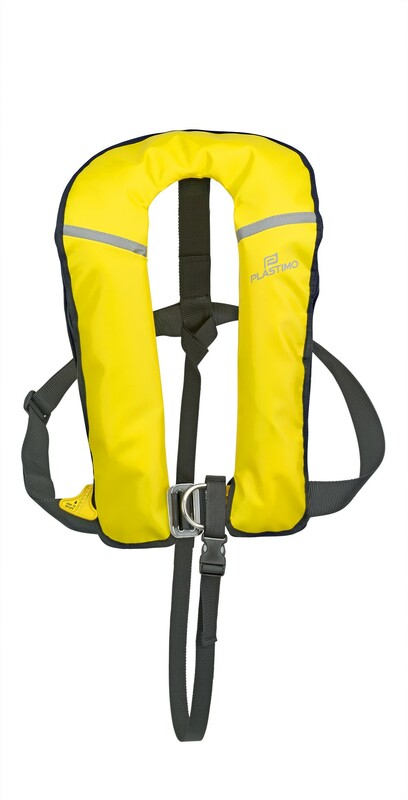 Lifejacket for professional fishing boats, merchant vessels, oil and windmill platforms, industry applications. Comfortable and hard-wearing, perfectly adapted to intensive working conditions (fire-retardant). 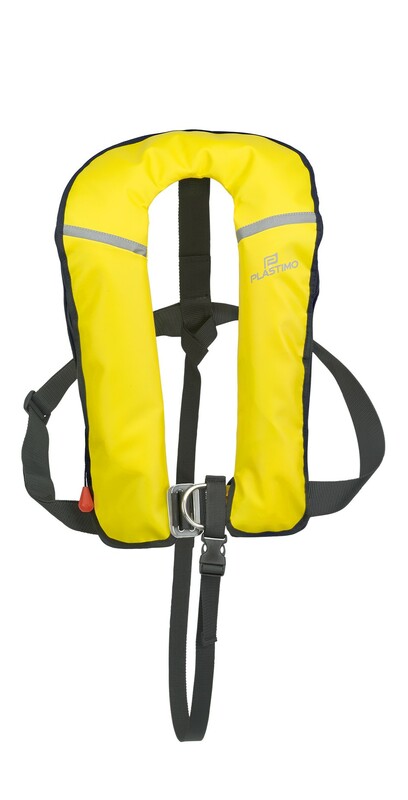 Lifejacket with 150 N rated buoyancy, 180 N actual buoyancy. Comfortable and hard-wearing, perfectly adapted to intensive working conditions. (equipped with a regular foul weather gear). • CO2 gas cylinder (38 g). 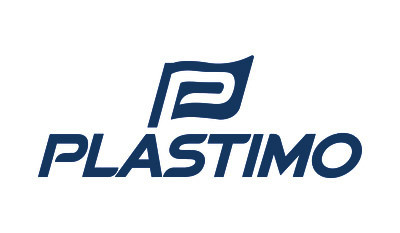 • Tube for oral inflation, with non-return valve. 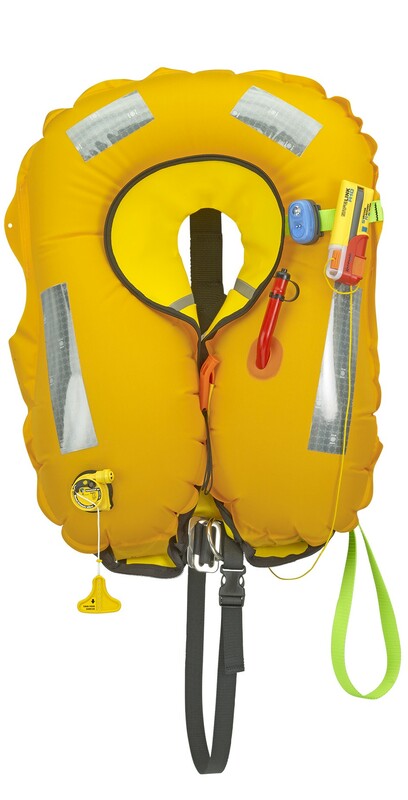 • Automatic or hydrostatic Hammar inflation modes. • Status monitoring : green indicator shows clearly the firing mechanism status. Yellow fabric, PVC coated on both sides, washable and fire-retardant. Rounded comfortable neck. 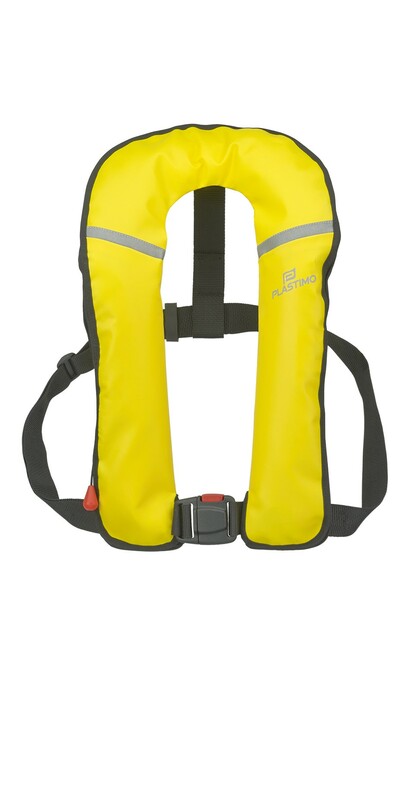 Reflective piping on shoulders. Improved comfort and better body fit. Fits waistline 60 to 175 cm. 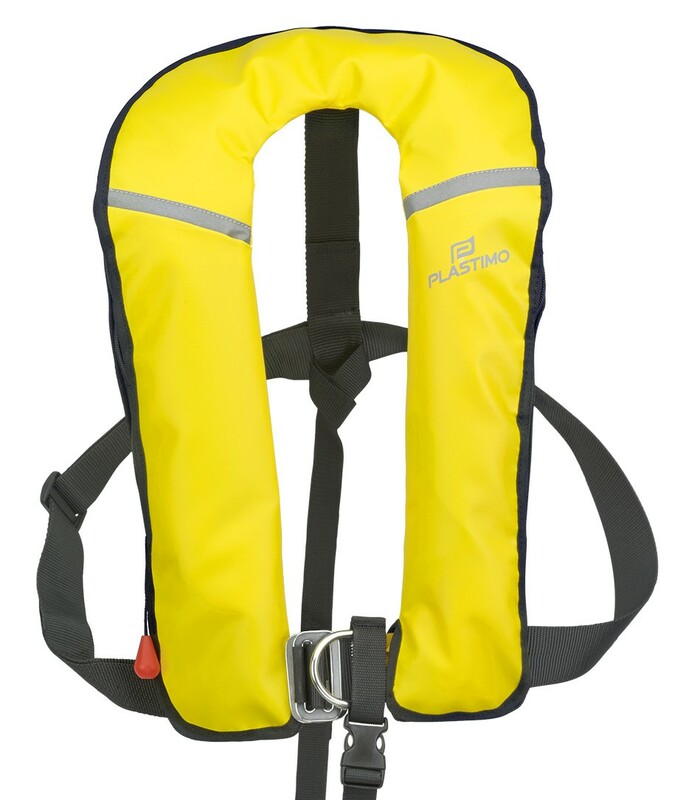 Composite material for model without harness. Stainless steel for model with harness. 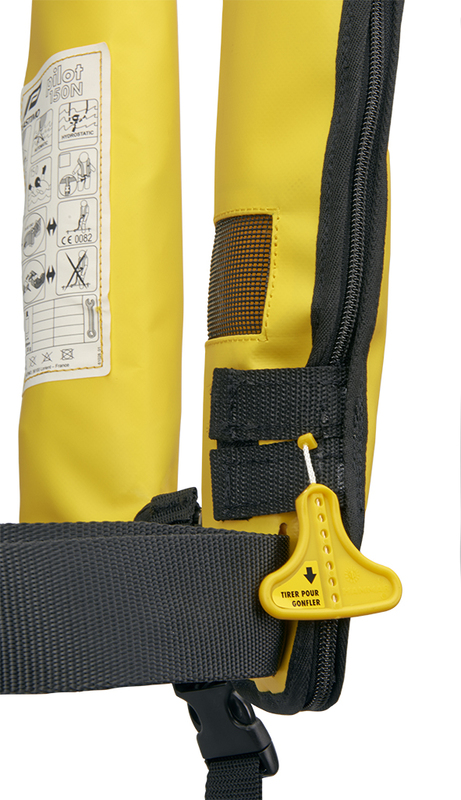 Facilitates grabbing the casualty and hoisting out of the water. 25 mm wide polyester webbing. On Hammar models : a mesh patch built into the inner side of shell accelerates the water entry to trigger the firing head quicker.